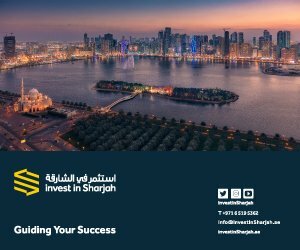 Sharjah Investment and Development Authority (Shurooq) continues working on the new expansion of Al Majaz Waterfront, a leading leisure and tourist destination in the emirate of Sharjah, with the aim to open more facilities and amenities to keep pace with the huge turnout of visitors and tourists. 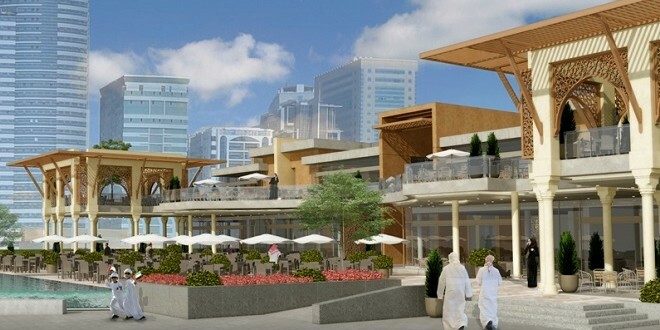 The expansion of the project is expected to be completed by the fourth quarter of 2016, the expansion extends over an area of 53,000 square feet of the total area of Al Majaz Waterfront which is 231,000 square feet, and this new addition will include opening of 12 new restaurants and cafes for the first time in Sharjah. The Sharjah Fountain will be expanded to overlook the piazza and enable all the visitors to enjoy the spectacular multimedia fountain shows. The current jogging track made from recycled material will be also relocated and extended. A total of 165 additional parking spaces will be provided to meet the needs and expectation of visitors. Speaking on the occasion, HE Marwan bin Jassim Al Sarkal, CEO of Sharjah Investment and Development Authority (Shurooq) said: “Al Majaz Waterfront has a very special destination for us, as it was Shurooq’s first project which served as a fulcrum upon which the authority rests to develop its other projects in the emirate of Sharjah. Through this development, we intended to create a high quality tourist and leisure destination to cater to the recreational and social needs of the emirate’s residents and visitors and to provide leisure, sporting and art facilities for all members of the family at one place. 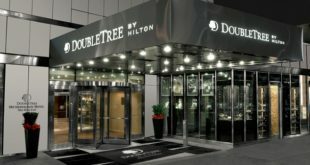 The destination gained a wide reputation and acclaim and become one of the premier destinations in the region”. Mohammed Fadhil Al Mazroui, Al Majaz Waterfront Manager underscored that Al Majaz Waterfront is witnessing an increasing growth in number of visitors, due to its modern leisure facilities and amenities which attract visitors from different ages and nationalities. He added that the new expansion will support the authority’s strategy of leveraging the emirate’s touristic landmarks to make a greater contribution to the economic and social development and offer an added value to investors who are interested in getting a foothold at Al Majaz Waterfront, by opening restaurants, cafes and other outlets. 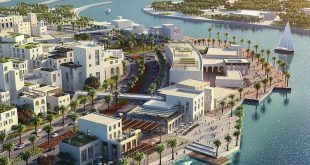 The new expansion works will provide more options to visitors of Al Majaz Waterfront, and will give them the opportunity to spend a longer time in a fun-filled family atmosphere. The new planned facilities will comply with quality standards followed by Shurooq in its various tourist and leisure destinations, both in terms of quality and level of services, in addition to catering to the needs of various lifestyles and backgrounds of visitors and residents from different nationalities. Al Majaz Waterfront hosts a variety of artistic and entertaining activities throughout the year, including film screenings, stage shows and roaming performers and firework displays in the national days and festivities, in addition to the art activities at Maraya Art Park, which acts as a platform for regional and international outdoor art projects and the Children’s Art Park which introduces children to the art world through sculpture art, interactive games and educational activities. 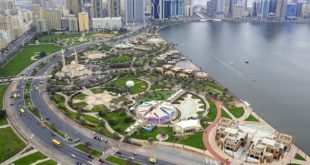 The AED 120 million (US$ 33m) Al Majaz Waterfront, Shurooq’s debut project, was launched in March 2012, and is situated in Sharjah’s picturesque Khalid Lagoon. 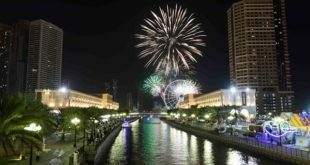 As one of the premier tourist and leisure destinations in Sharjah, it plays host to all major events in the emirate. Al Majaz Waterfront houses many world-class restaurants and cafes, including: T.G.I Friday’s, Caribou Coffee, Pizzaro, Baja Fresh, Zahr El- Laymoun, Tim Hortons cafe, Cold Stone, ElManza, a fine dining Moroccan restaurant, Shakespeare and Co, and Elevation Burger. All of these overlook the breathtaking Sharjah Fountain. In addition, Al Majaz Waterfront offers a Mini Splash Park, Mini Golf, Play Area and “ALWAN”, a unique activity centre exclusively designed for children to spend quality time with their parents or simply to have fun.